See the top Nature & Adventure trips that go through Iran. With 77 tours to choose from, they range in length from 3 days to 28. The most popular month for these tours is May, which has the most departures. "Amazing trip! 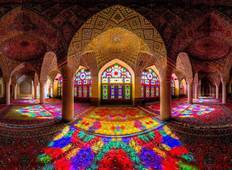 Tour leader was fantastic, everything ran smoothly and Iran is now..."
"Amazing trip! Tour leader was very fantastic, everything ran smoothly and Iran is..."
"It may take a bit of effort to get to Iran but once there get ready for a really..."
"Ya Ali! This spring me and few other friends traveled to hinterlands of Zagros mountain..."
"We were with Our desert expert Kian for three days and it was the most unforgettable..."
"The tour that sparked my love for Iran and its people! I took this tour in March-April..."
"I was very pleased to travel with this agency"
"Great trip, great people and great country. I should go back and visit other places." "It was an awesome trip up mount Damavand with Hossein. 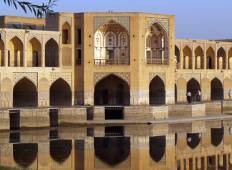 Hossein was a perfect guide..."